It’s very difficult to absolutely capture the thrill of all the various rodeo events. 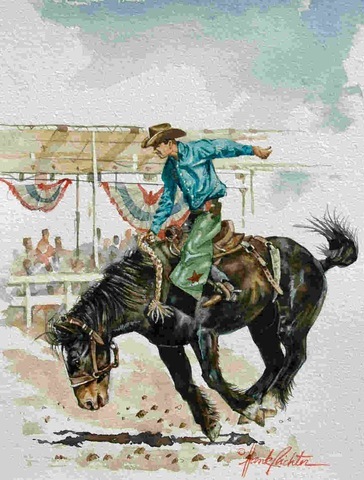 To me, bare back and saddle bronc riding are two of the most exciting of the six rodeo “tests”…ten seconds on a twisting whirlwind ain’t the world’s most sought after style of fun! Those hardy folk who do it for a living and for the excitement and fun have got to be admired.